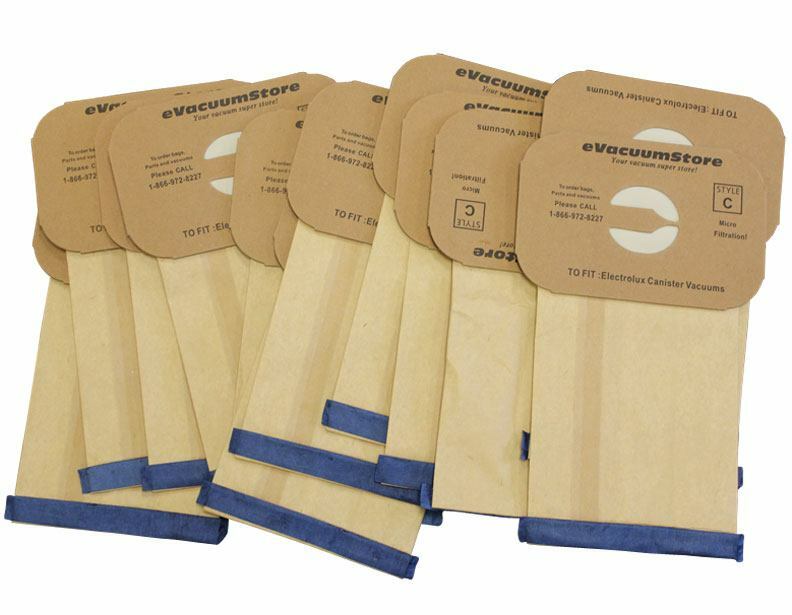 In most cases a dozen Electrolux Style C vacuum bags will last an average of one year. 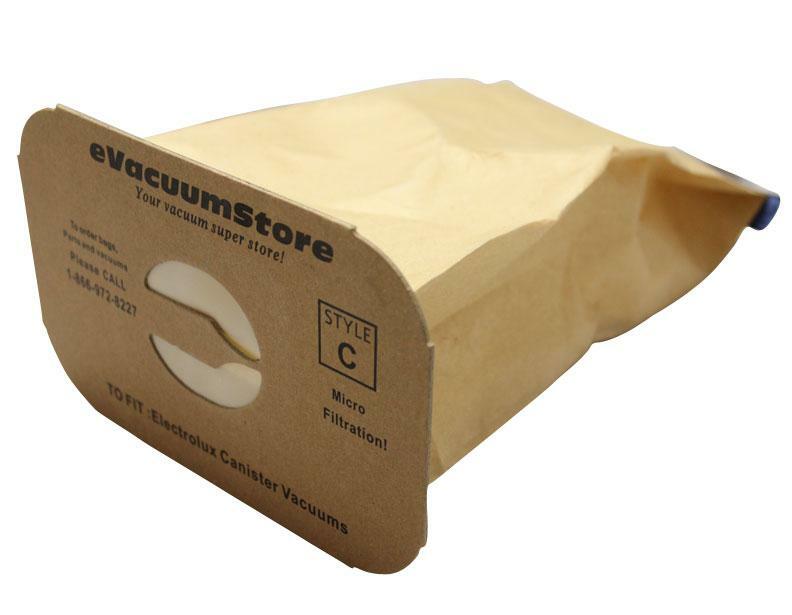 The is a great price for a one year supply of vacuum bags. If you vacuum more frequently or have a large home you may want to consider multiple packages so you can save money on shipping. 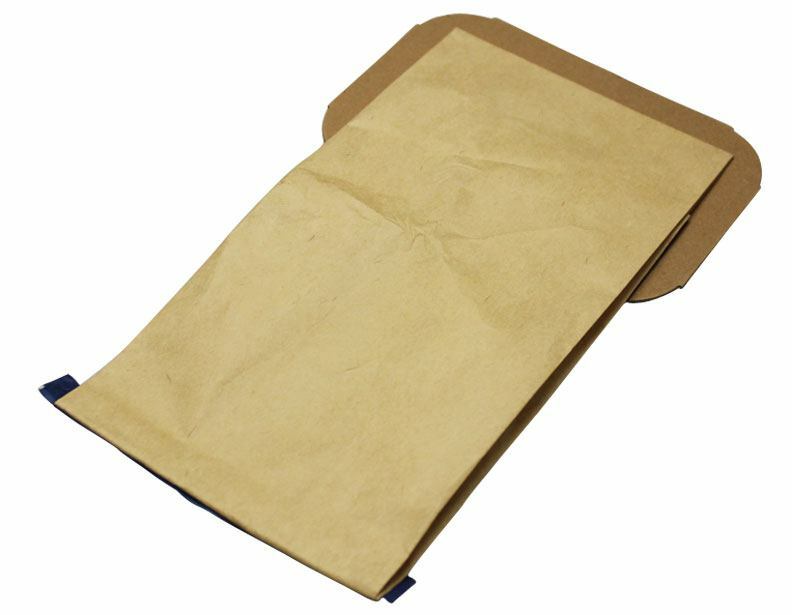 To verify these bags fit your model simply open the bag door and look for the model number imprinted inside of the door. 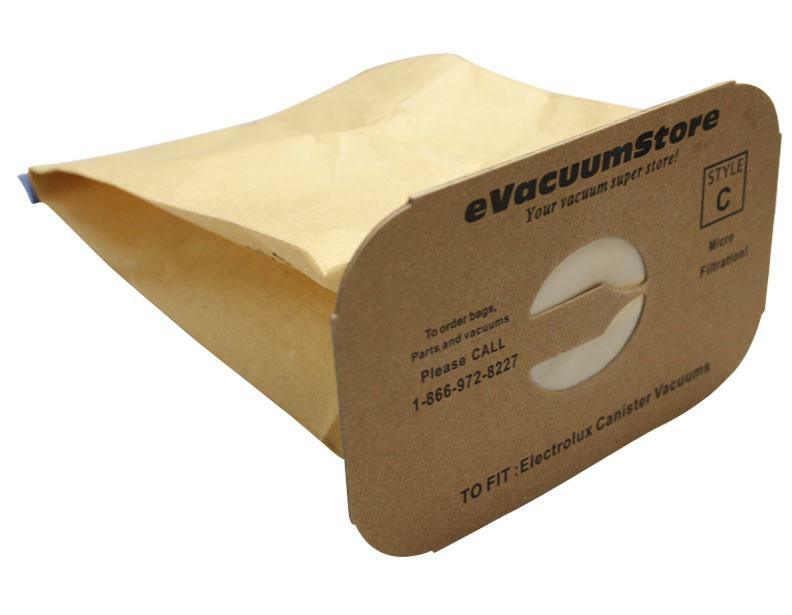 Match that model number to the model number listed on this page to ensure these bags fit your vacuum cleaner. If you still require assistance or need help placing the order on the phone please call 866-972-8227. 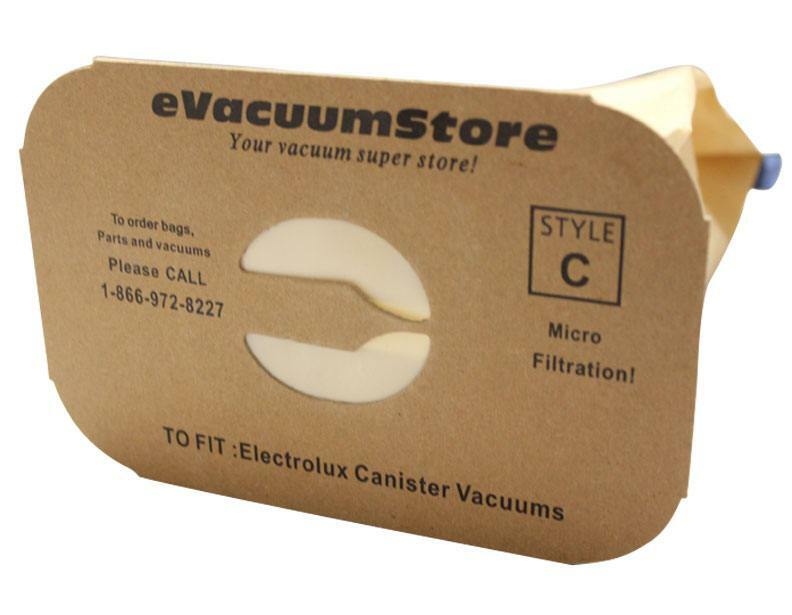 Most of the Electrolux plastic canister vacuum models that use these bags also use Electrolux Electrostatic Canister After Filters. Did not fit the model I have.I thought Generic means generic. Exact fit. It is often difficult to locate bags for such an old model. I was pleased to find your company on the Internet. Answer:You can use anti allergy bags and any carpet fresh scents to go into your bag to minimize the smell. 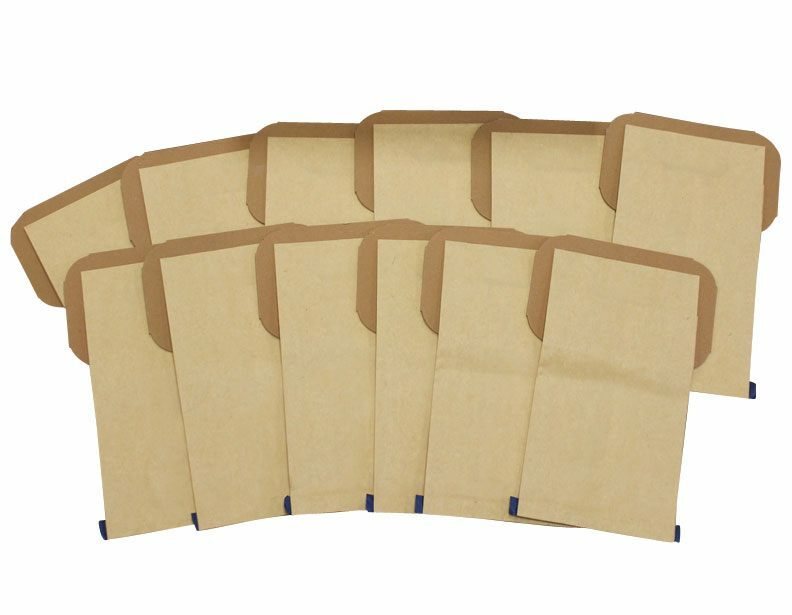 Answer:These are the correct bags for the 1521. Answer:Yes these are the correct bags for the 1505. Answer:The Lux 7000 uses Style C bags. Answer:Yes, these bags will fit that model. Answer:Yes, these bags fit the 1401. Answer:Yes, these bags will fit your vacuum. Answer:The 755 is not an Electrolux model number. If it is an EL7055 you need the style S bags, if it is a Eureka 755 you need style H bags. Answer:Unfortunately we do not have any locations in that area, but we do have the bags you need, and can ship right to you! 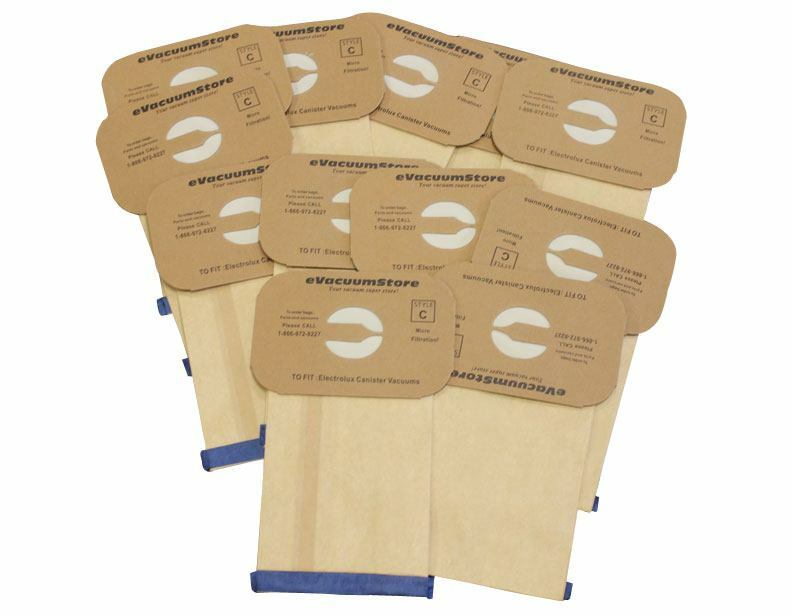 Answer:You will need Eureka Style B bags. Answer:Yes, these bags will fit your machine.